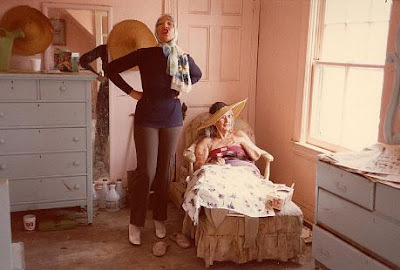 If the filmmaking team of David and Albert Maysles don’t sound familiar, then maybe the films Grey Gardens, Gimme Shelter or Salesman ring a bell. This exhibition, “Albert Maysles: Photographs/Cinemagraphs/Documents” features photographs of those Kennedy’s from Grey Gardens and the Rolling Stones, among others. Helping take new American cuisine to the next level, Cookshop’s chef Marc Meyers offers your palette seasonal and local flavors like Vermont Suckling Pig in porcetta, with polenta, swiss chard, and cider sauce ($28). A great bar in this neighborhood, The Half King provides an excellent selection of beers and one of the better burgers in Chelsea. As addictive as crack but way better tasting, Pinkberry has been taking NYC by storm with their non-fat yogurt and healthy toppings.